If Getting Fit in the New Year is one of your goals…or wanting to reprogram your body to be fit and lean for life in the comfort of your own home- then this program is for you! I’m offering an online customized nutrition and exercise program for a low low price of $99. I’ve never done this before but “my peeps” insist that I send out this special holiday package to all our readers. The INTRAFITT FIT & LEAN FOREVER Online Nutrition & Exercise Program has been specifically designed to provide individuals with key knowledge, insight and an understanding of how to set and achieve moderate to intense health and fitness goals. The targeted results of this package include a loss of body fat with a simultaneous increase in LBM (lean body mass). As a result of this dramatic and favorable change in body composition; chronic health conditions such as high cholesterol, high blood pressure and gastro-intestinal related problems (including intestinal gas, bloating, indigestion, heart burn, distension and systemic edema) are oftentimes relieved as well! Full Service / Virtual Membership Benefits that allow you to be interactive in your meal planning and exercise protocols. Last time we spoke of the importance of strength training. Now you need to know that just as strength training is an important and integral part of every “Total Conditioning” program, so is regular and consistent cardiovascular exercise (i.e. treadmill, stationary cycling, jogging, etc…). In fact, despite common belief, cardiovascular exercise performed regularly for the proper duration and level of intensity helps to maintain lean body mass, increase strength and muscular endurance and naturally raises the basal metabolic rate while accelerating the development of fat burning enzymes within the muscles. All of these emphatic biochemical changes help the body to become more efficient at burning fat while wasting excess energy. Visit me any time at http://www.intrafitt.com Email me at gladiator@intrafitt.com for your personal nutrition and exercise program. I’d love to talk to you about any special needs including rectifying diabetes, heart disease and any other factors you may be facing. REPROGRAM Your Mind, Body & Spirit to be Fit, Healthy & Strong for Life! Irregardless of what you’ve heard, read or understood about exercise and its impact on weight loss and conditioning; your body needs a minimum of one hour* of exercise everyday (at least six days/week) if you truly intend to Reprogram your mind, body & spirit to be fit, healthy & strong for life! Think of it this way…your body is designed to move! It is the reason why we have arms, legs and a circulatory system and it is the reason why the amount of oxygen we consume directly determines how much and what type of fuel (protein, carbohydrates or fat) our bodies choose to burn throughout the day! Correspondingly, as long as your blood sugar remains stable throughout the day and you consistently engage in one hour of regulated exercise at least six days per week, your mind, body and spirit will be reprogrammed to remain strong, healthy, lean, fit and full of joy and peace! Trust me, there is nothing like it in the world. 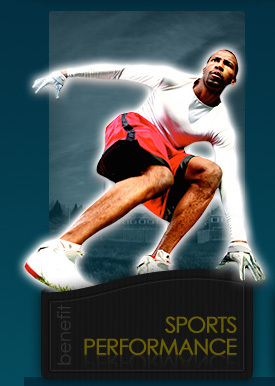 Be sure to visit me at our website: www.intrafitt.com or email me anytime at gladiator@intrafitt.com! I would especially like to hear from you if you are trying to reconcile diabetes or any other health-related disease.